The Director General of Grassroots Mobilizers for Buhari (GMB), Alhaji Umar Faruk Mohammed will soon launch a special skills acquisition and empowerment programme to compliment federal government efforts in reducing high rate of unemployment inherited from Peoples Democratic Party (PDP) 16 years administration in Nigeria. The job creation programme aimed at providing technical and specialized training for young school leavers, graduates and other interested persons has commenced pilot scheme in Cross Rivers State and will soon be introduced in other states of the federation including the Federal Capital Territory, Abuja. A statement by the group's South-South Media Director, Dr Fred Latimore Oghenesivbe said upon registration with GMB skills acquisition outlets, applicants shall be attached to well established companies and professionals for technical and skills training while non-graduates will undergo different vocational programmes at designated centres across the country. 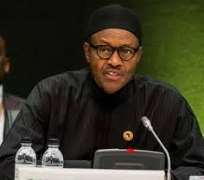 He said GMB National Organizing Secretary, Chief Igho Osiobe will on Saturday, June 4th in Calabar, preside over a special meeting to examine and appraise the pilot scheme among other issues and thereafter an enlarged committee shall be inaugurated by GMB Director General to perfect arrangement for the launching of the programme in Abuja. To ensure that the programme achieves desired results, GMB will partner with the Federal Ministry of Labour and Productivity as well as National Directorate of Employment (NDE) for certification, empowerment and job placements, the statement added.